Brexit. Since June 2016, it’s been the word on everyone’s lips and – with fresh commentary flooding news outlets and social media every day – at everyone’s fingertips. Today, much of this discourse is fuelled simply by uncertainty. We all know how Brexit came to be, but as yet nobody knows exactly what’ll happen after the UK exits the European Union. Unfortunately, for the country’s small business owners and budding entrepreneurs, uncertainty can be a big cause for concern. In fact, Institute of Directors (IoD) recently reported that one in three UK businesses had either moved operations abroad – or planned to do so – in order to mitigate the risks posed by a hard Brexit. Of course, there’s plenty of business potential to be found outside the UK. And if you’re looking to expand your business into a European territory post-Brexit, we’re here to help you find the right place. To this end, we’ve conducted a one-of-a-kind study to find out which European cities are most conducive to business growth. But how did we do it? 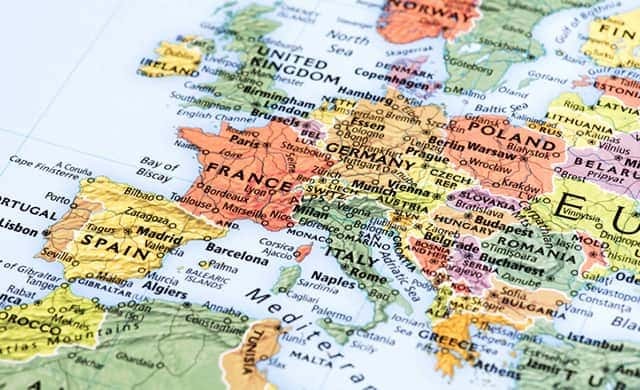 To work out the top European cities in which to launch a business after Brexit, we first collated a list of 80 key cities, of varying sizes, spanning 30 European countries. This list excluded cities within the UK and Ireland. Understanding that restaurant availability may not mean as much to a small business owner as corporation tax or exporting potential, we weighted each of the above data points in terms of their importance to start-up growth. From this, we were able to rank the 80 cities in terms of how well they fared on each factor, and how important each factor is. So, what were the results? 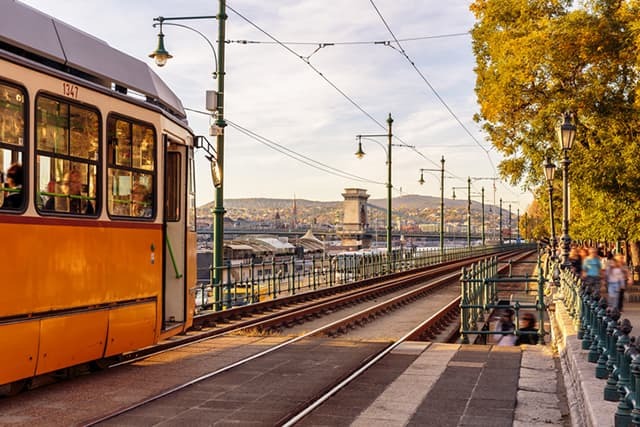 Of 80 key European locations, Budapest – the historic and beautiful capital city of Hungary – came out on top as the best place in which to launch a business post-Brexit. 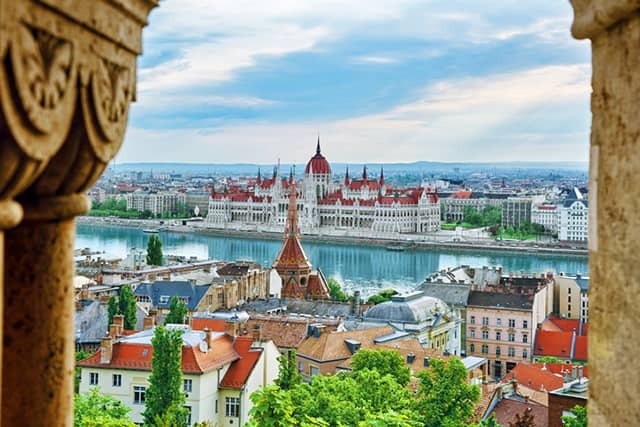 With famous landmarks such as Fisherman’s Bastion, the Hungarian Parliament Building and the Széchenyi thermal bath, Budapest is a popular travel destination for city explorers – but we’ve also found it to be the number one European city in which to launch a start-up. So, what swung it for Budapest? Well, one major factor is that businesses here are likely to save quite a bit of money. At just 9%, Hungary’s corporation tax rate is – alongside that of Bulgaria – the lowest of all the countries on our list. For comparison, it’s 10% less than the current tax rate in the UK. Plus, product businesses with global ambitions are likely to fare well here, as exporting goods from Hungary is not only free, but also a speedy process that takes an average of just one hour to organise. Not to mention Budapest’s very reasonable living costs. The average price of a cup of coffee here comes in at £1.16 which, while not the cheapest on our list, compares favourably to most (in case you’re wondering, the average cup of coffee in London costs £2.73). And Budapest has plenty of recreational activities to offer. With just over 2,700 cafes, restaurants and bars in the city, you’ll find plenty of places to grab a traditional Hungarian lunch (we’d recommend trying an authentic goulash) or unwind with a drink after a hard day’s work. Ranking City Why is it in the top 10? We’ve explored the top 10, but which of our 80 European cities gained the lowest scores when subjected to our ranking? NB: It’s worth noting that issues such as fewer food and drink establishments could simply be a reflection of the city’s size, and in practice 400 restaurants in one town will still be more than you’ll need. Similarly, fewer coworking spaces doesn’t necessarily mean there’s less office space available for start-ups – though it might be indicative of how many small businesses are choosing to launch in the area. Ranking City Why is it in the bottom 10? As mentioned earlier in this article, Budapest, Hungary and Sofia, Bulgaria were found to boast the lowest corporation tax rates in the study, at 9%. Contrarily, France was shown to have the highest corporation tax rate – 33% – while Germany followed with 30%; which goes some way in explaining why five of the German cities we studied appear in our bottom 10. Of all the countries included in our study, Russia was found to be the most expensive to export from. Exporting from Saint Petersburg was found to come with an average cost of £612, while £580 is the cost to export from Moscow. Russia’s average time to export was also found to be comparatively slow – 96 hours from Saint Petersburg and 98 hours from Moscow. At the other end of the spectrum, 45 of the 80 cities on our list are free to export from, and come with an average time to export of just one hour. While Tampere, Finland was found to have just one coworking space – unsurprisingly, the lowest number on our list – Spain proved abundant in coworking options. The country’s capital, Madrid, was found to have 110 coworking spaces, the highest number in the study. Meanwhile, Barcelona boasts the third-highest amount, with 91 spaces. Between these sits Paris, France, with 93 coworking spaces. During our study, Rome came out tops for cheap living costs, with the average cup of coffee in the Italian capital coming in at £1.07 – which is especially exciting given the country’s reputation for great coffee. Meanwhile, Denmark and Switzerland offer, on average, the most expensive cups of coffee: Copenhagen, Denmark’s cost £4.33, Basel, Switzerland’s cost £4.16, Aarhus, Denmark’s cost £4.01, and Zurich, Switzerland’s cost £3.90. The information in this article is correct as of January 2019.